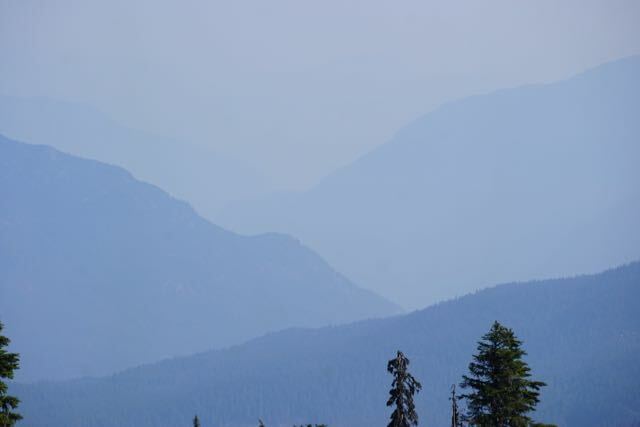 Tuesday August 11, 2015--Smoke and Haze to the North early in the am. 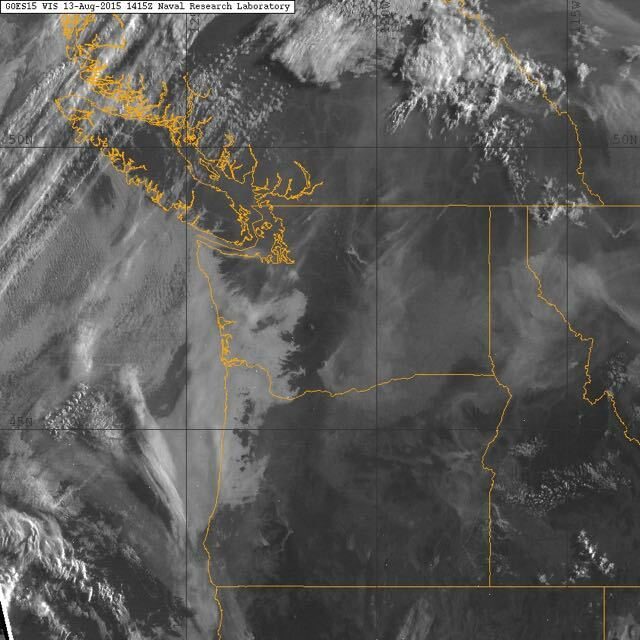 Satellite image from Tuesday morning. 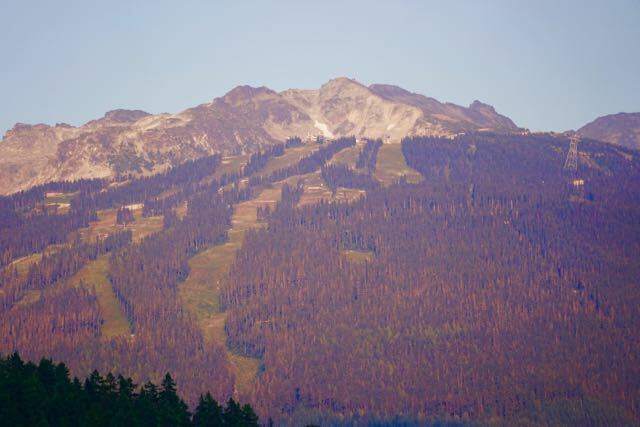 Just before sunset on Tuesday evening, very little firn snow left in Blackcomb Bowl. 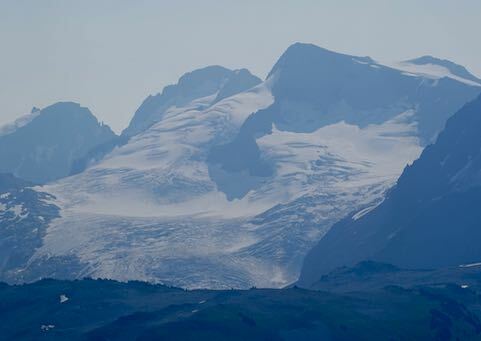 Wednesday August 12, 2015--It was +18 by 09:00 Hours at 2200 meters. Thursday August 13, 2015--Slightly better visibility than Wednesday. Weather Observations for August 14, 2015: taken at 06:00 Hours. 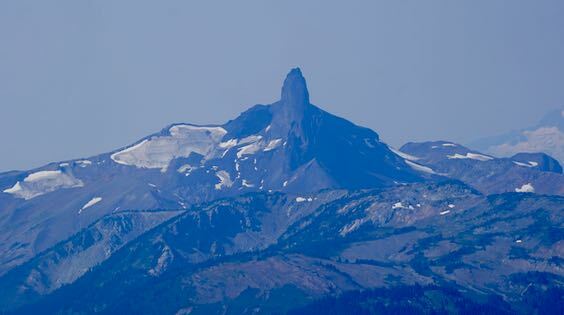 660 meters +13, Valley Temp, Max Temp Yesterday was +30.6, trace of rain recorded yest. 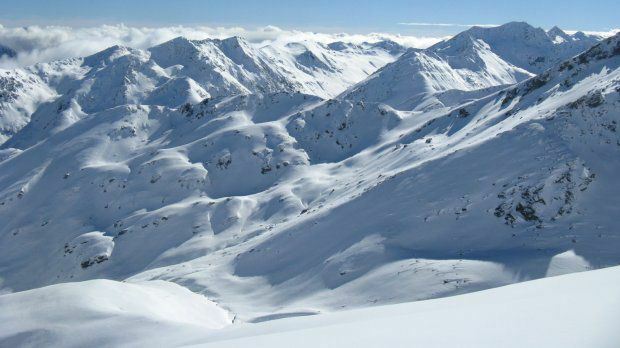 As of 07:00 Hours this am we have overcast skies and unlimited visibility. 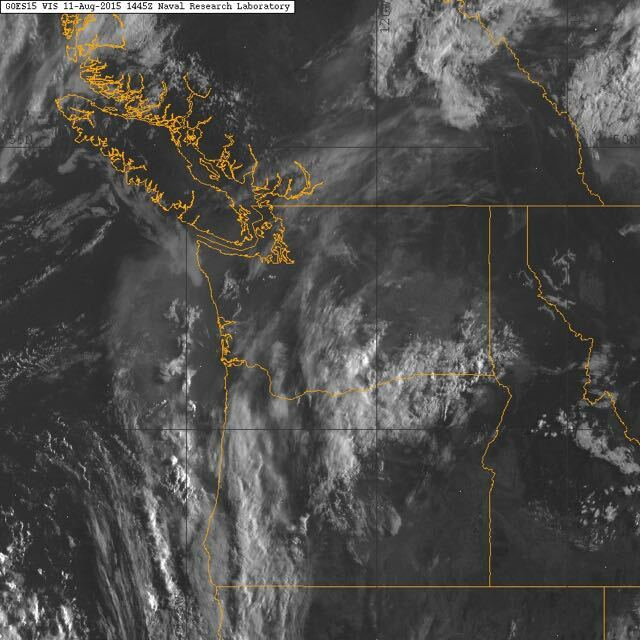 Satellite image from this am at 07:15 Hours. 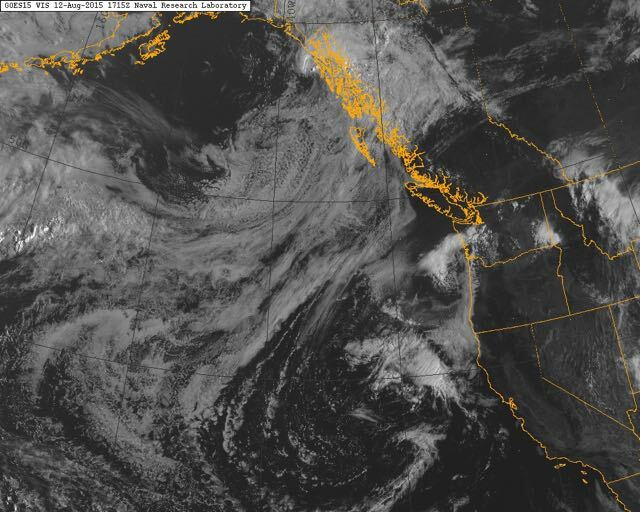 For the forecast, the low pressure is slowly working its way up the coast with an increase in the cloud cover. 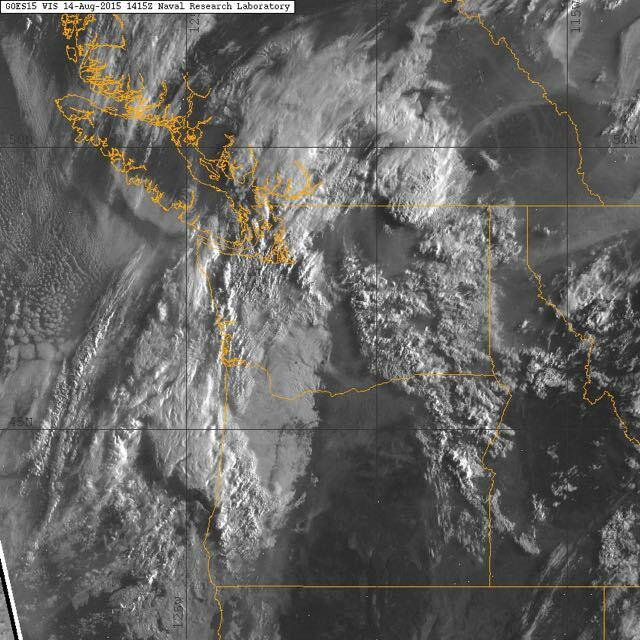 Showers and lightning are being reported South of the US boarder as the moist unstable airmass in a Southerly flow just off the northern California coast approaches at about 30-50 KPH. The low will remain for Saturday with showers expected in our zone as well as cooler temperatures. A ridge of high pressure will move in from the Eastern Pacific on Sunday for dry and warm conditions into next week. Low will move Northeastward today and is a moist unstable airmass. 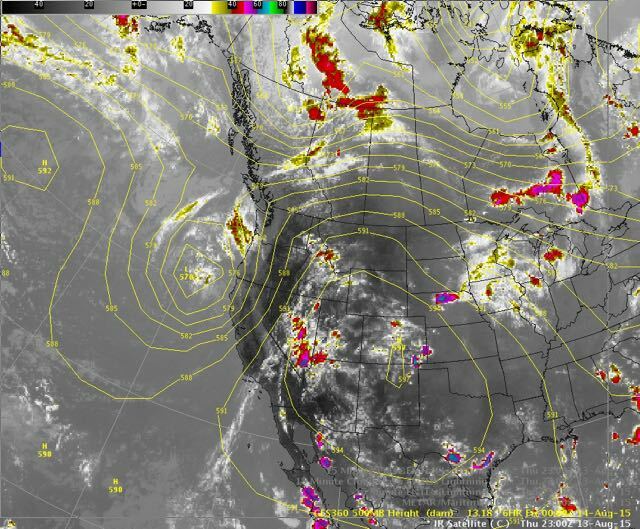 High pressure in the Eastern Pacific will move back into our zone by Sunday. Free Solo Slackline Record: Squamish, B.C. 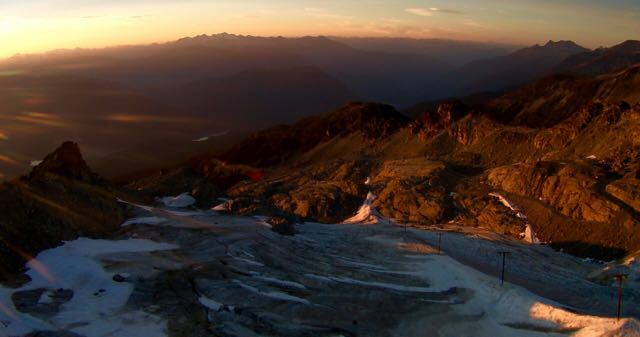 Smoke and haze looking towards Pemberton from 1835 meters on Whistler Mtn Wednesday. 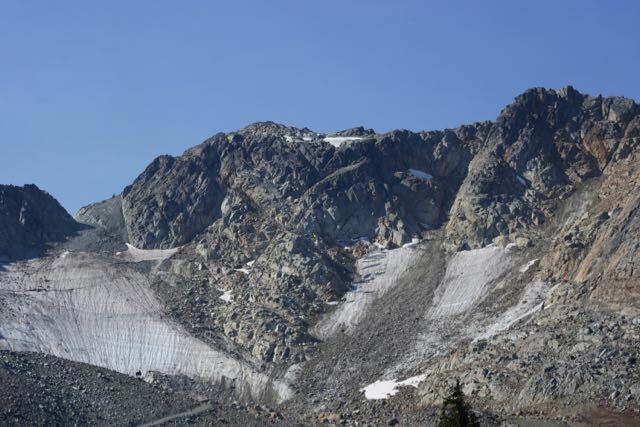 Rockfall in Glacier Cirque on Whistler will certainly speed up the melting process of the firn snow. 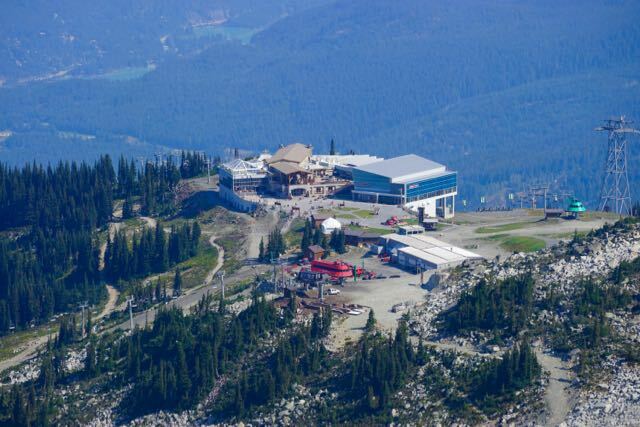 Round House on Whistler Thursday August 13, 2015. 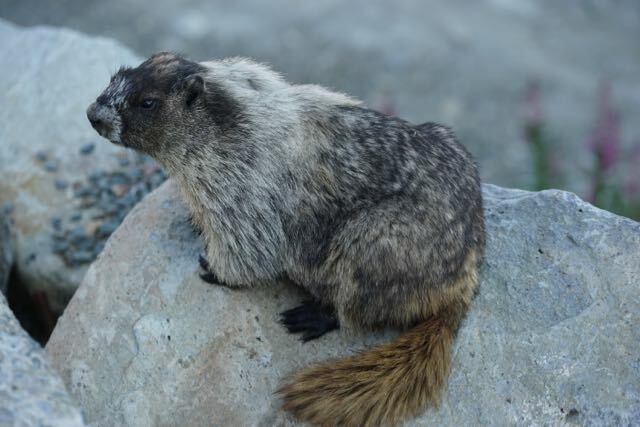 Up close and personal with a marmot on Whistler Mountain. 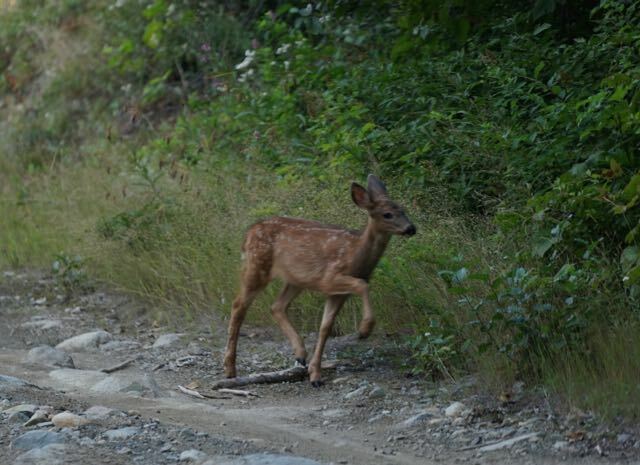 Young deer in the Bike Park.